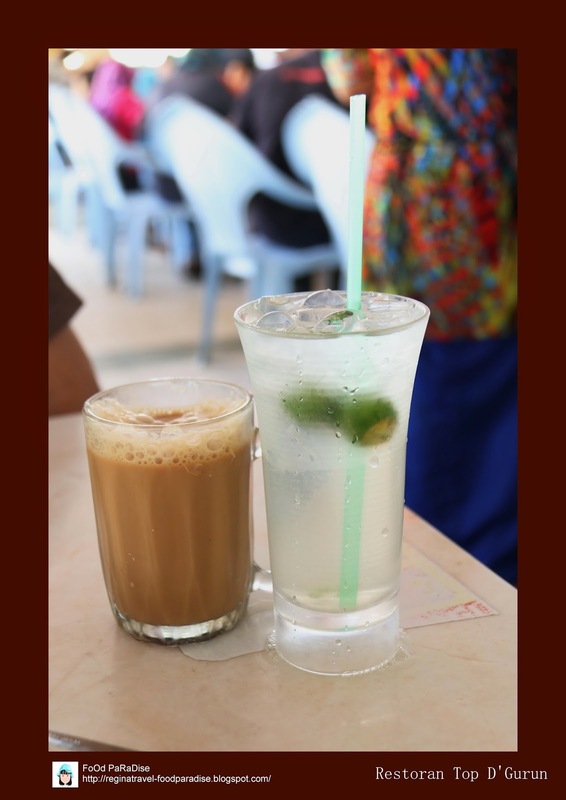 RESTORAN TOP D'GURUN @ GURUN Jalan Raya, Kedah. Last week, since it's a school holiday we decided to drop by Gunung Jerai for a visit as the last trip we went there was many years ago. 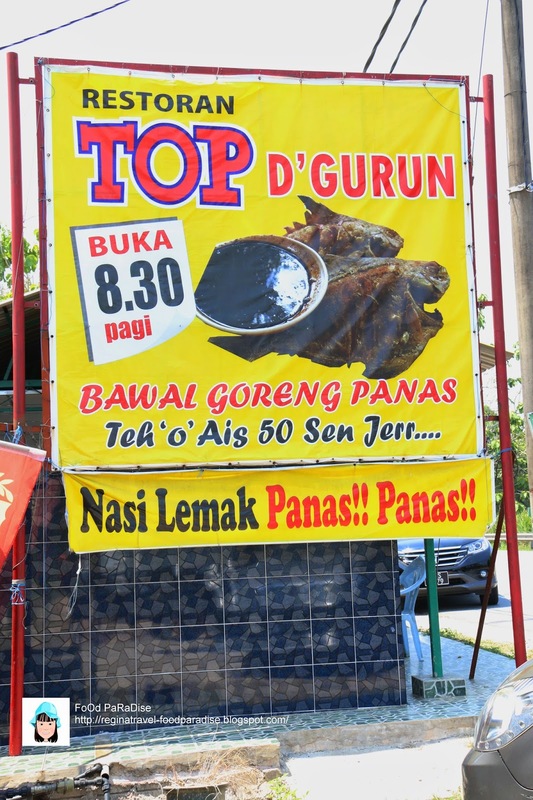 Before we went up to Gunung Jerai, we passed by this restaurant and saw lots of people patronizing this shop. We decided to stop by for our late lunch at this shop. Their fried fishes are very tasty. I like their textures. Some places they will over cooked their fishes but this place their fishes just nicely cooked. Give it a try if you happen to drop by. 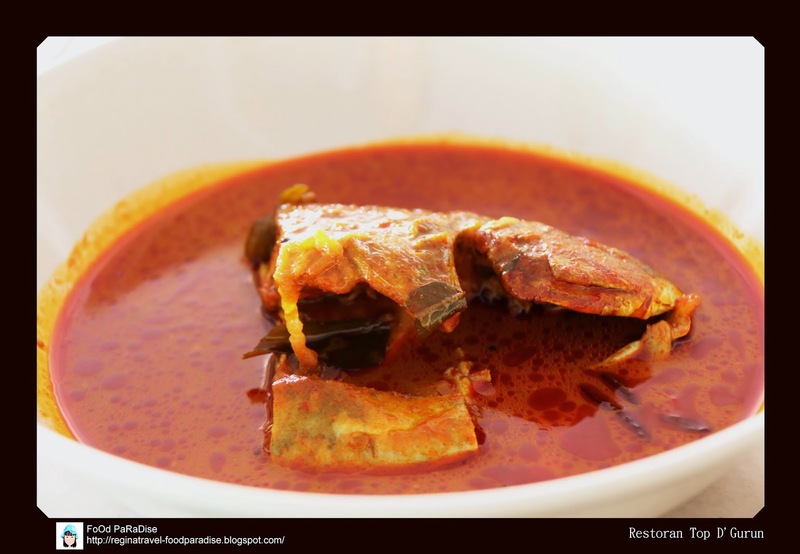 Their curry fish head is another good try. Their curry gravy is very good to go with the rice. 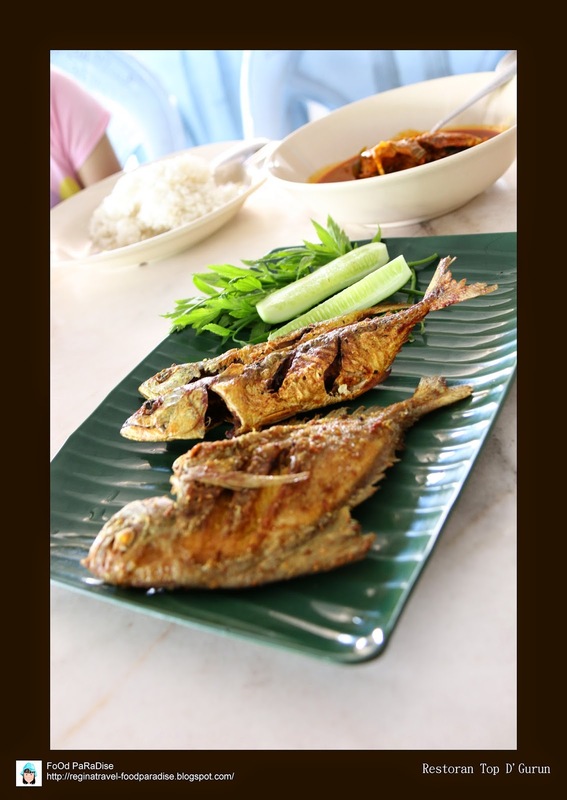 Most importantly the fish itself is very fresh. When we about to finish the our meal, their deep fried chicken were just ready from their wok. 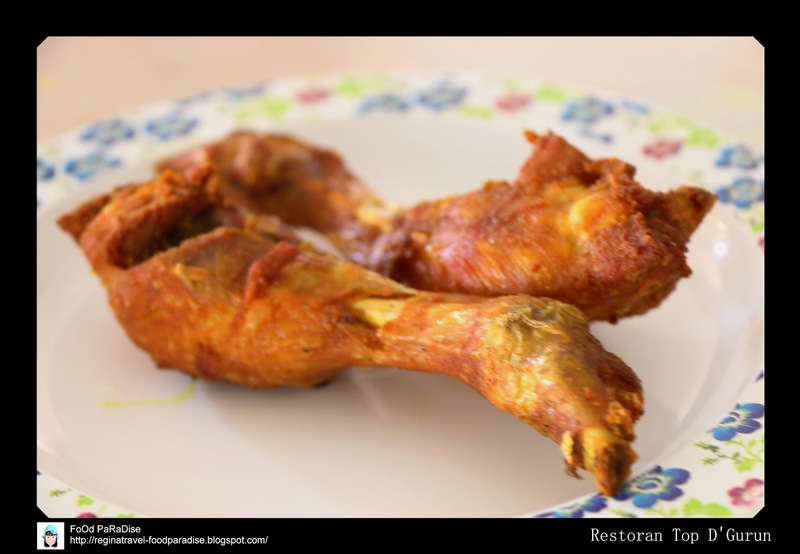 So we decided to give it a try, And it tastes nice although from my first instinct when i looked at the chicken drumstick, I told myself hmm..... this must be overcooked but out of surprised when I had my first bites its very crispy from the outer layer and juicy interior part of the drumstick. FoOd PaRaDiSe verdict: Good that we stopped by to try this place. The people in the restaurant were very friendly and helpful. Foods were nice and delicious. Price vice, it is very reasonable. We had all the above plus three plates of rice, we paid total of RM30.70. 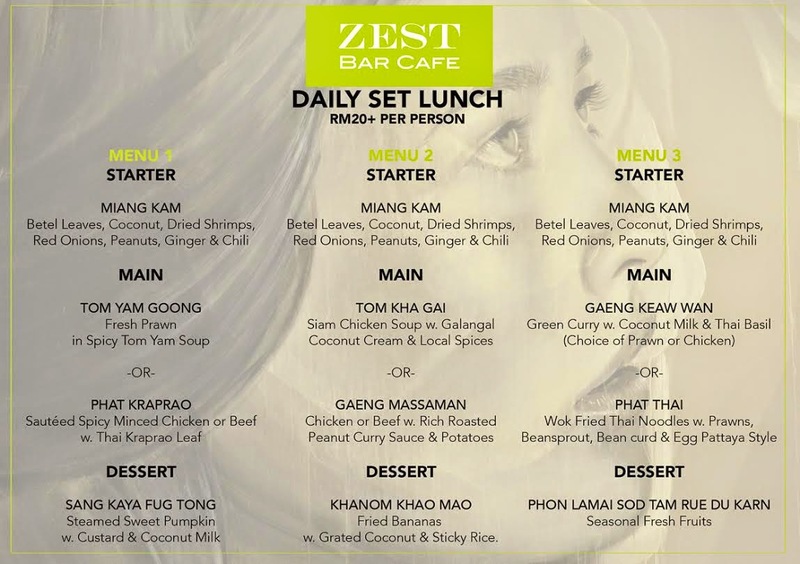 Today I am going to blog about the ZEST BAR CAFE daily set lunch. 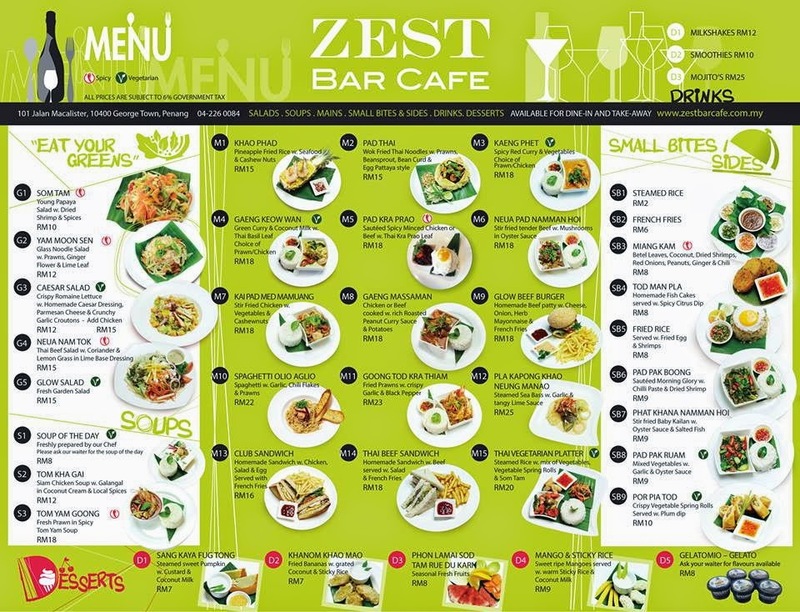 I have blogged about ZEST BAR CAFE last year. You can see my review here. Basically you have three types of menu to choose from. 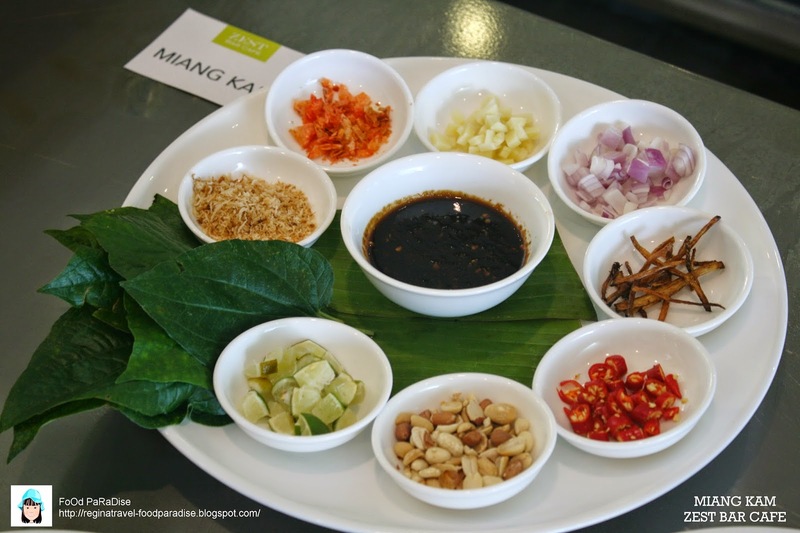 FoOd PaRaDiSe verdict: Many years back if you asked me to have miang kam, I would probably skip but years came by and I started to like taking it. 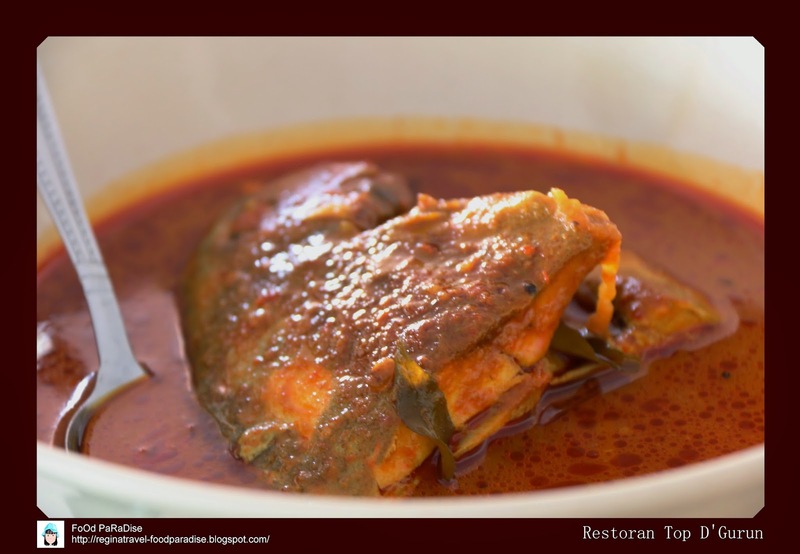 If you cannot take the betel leaves aroma, I think you will not enjoy this dish. 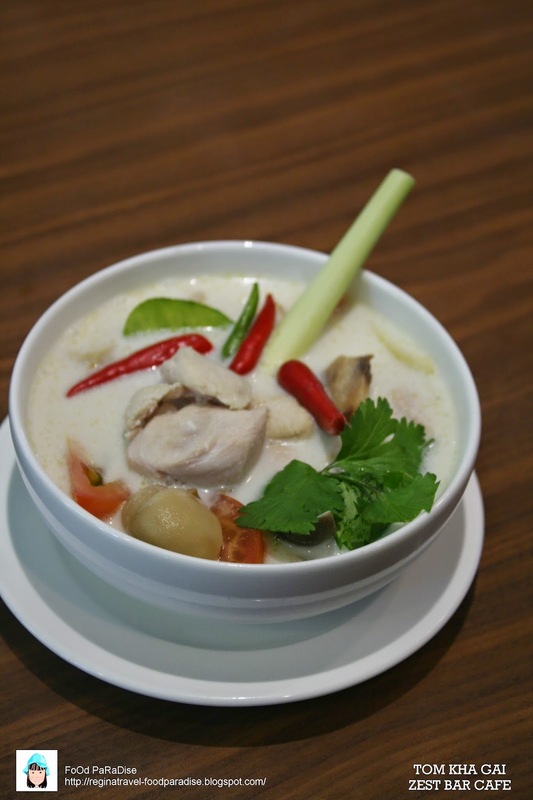 FoOd PaRaDiSe verdict: For me, personally I prefer Tom Yam Goong over Tom Kha Gai. As the later are full of coconut flavour. 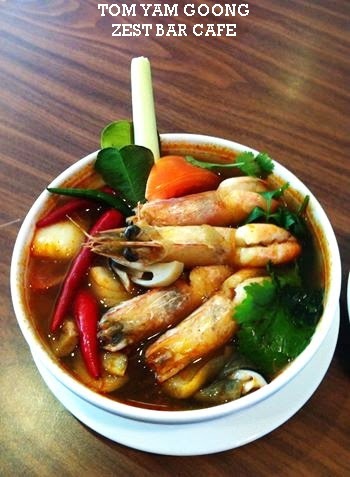 If the tom yum is a bit more spicy it would be superb. 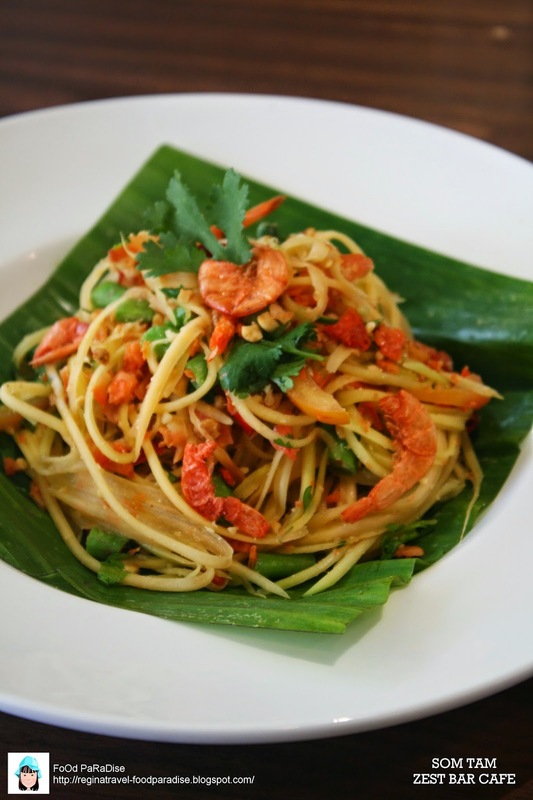 Young Papaya salad with dried shrimp and spices. 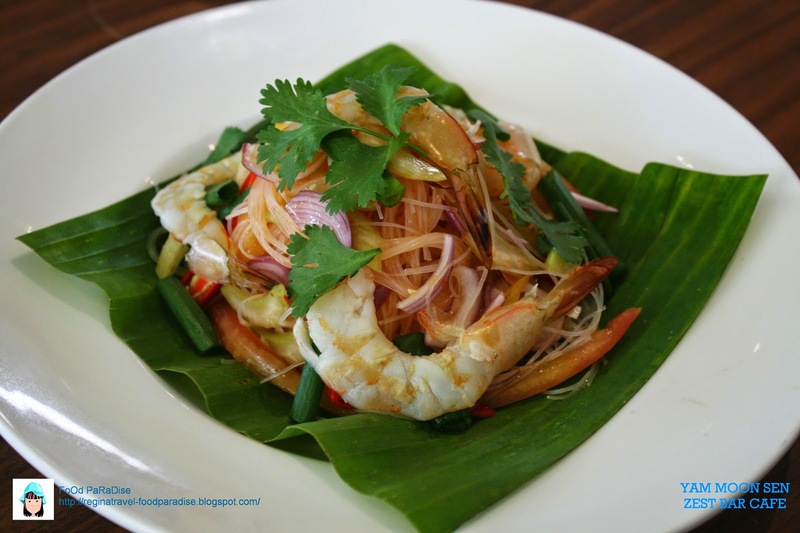 Glass Noodle salad with prawns, ginger flowers and lime leaf. 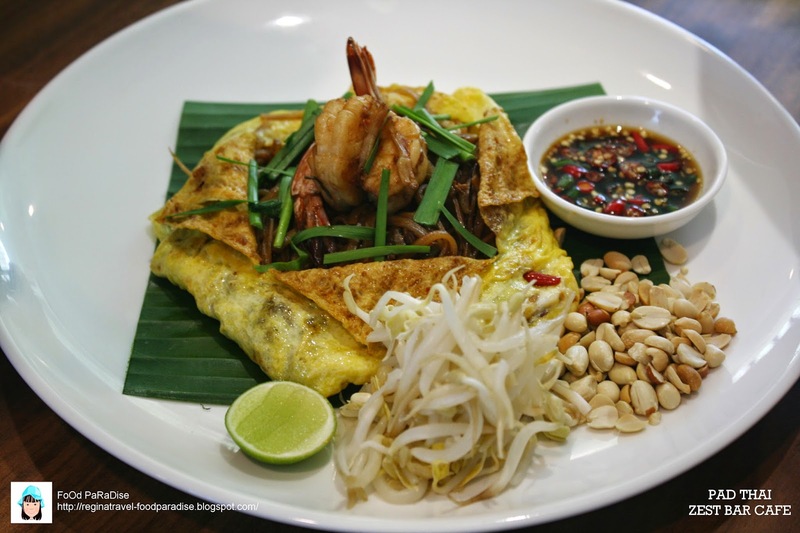 Wok fried thai noodles with prawns, beansprout, beancurd & egg pattaya style. 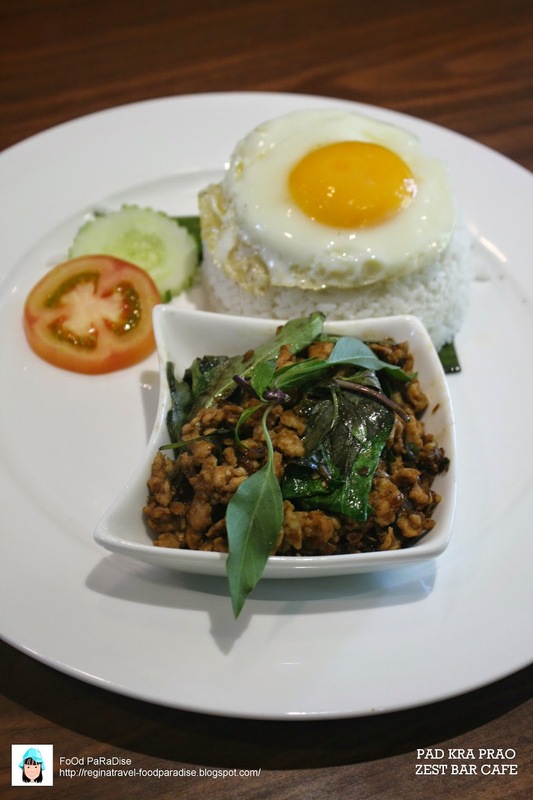 Sauteed spicy minced chicken with thai kra prao leaf. FoOd PaRaDiSe verdict: I would prefer that they put more basil in this dish. It is rather a sweet dish for me. A bit of small chili padi added into this would be nice. 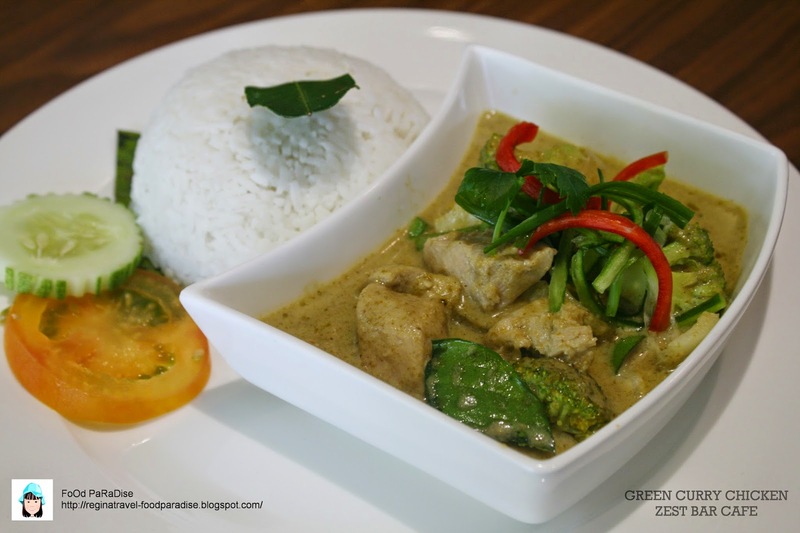 Green curry with coconut and thai basil leaf. FoOd PaRaDiSe verdict: Their green curry chicken is quite nice. 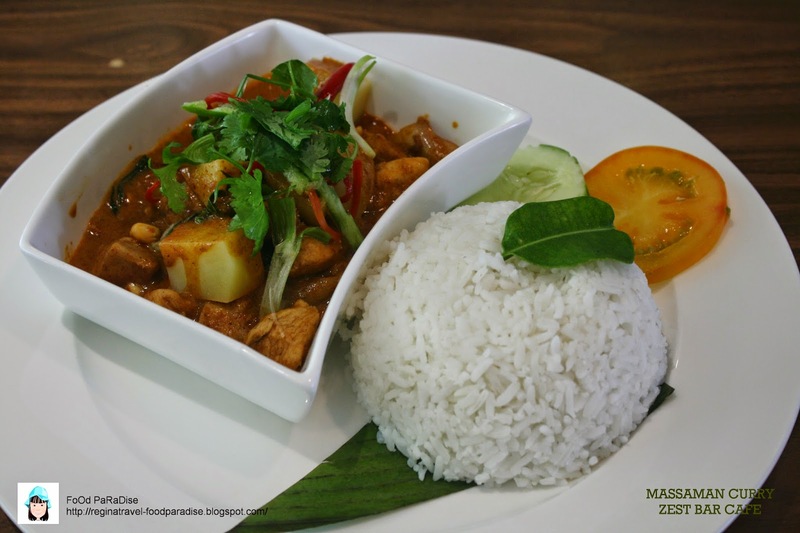 Chicken cooked with rich roasted peanut curry sauce and potatoes. 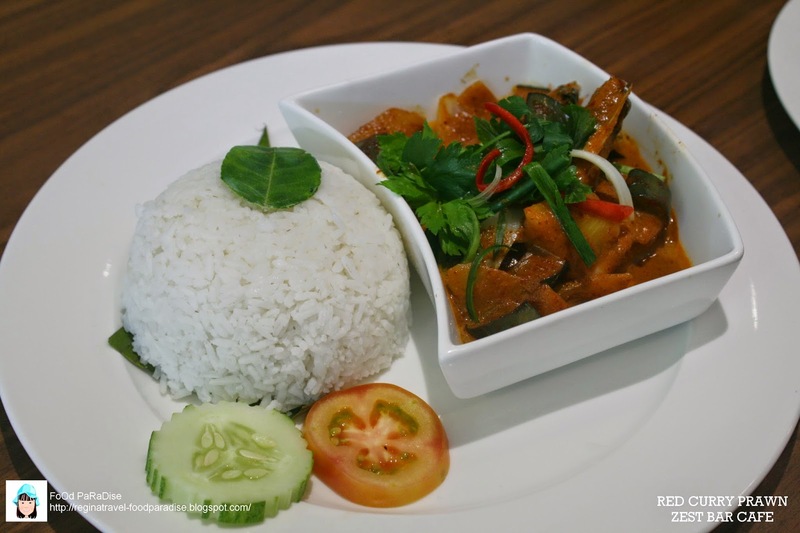 Spicy red curry prawn and vegetables. 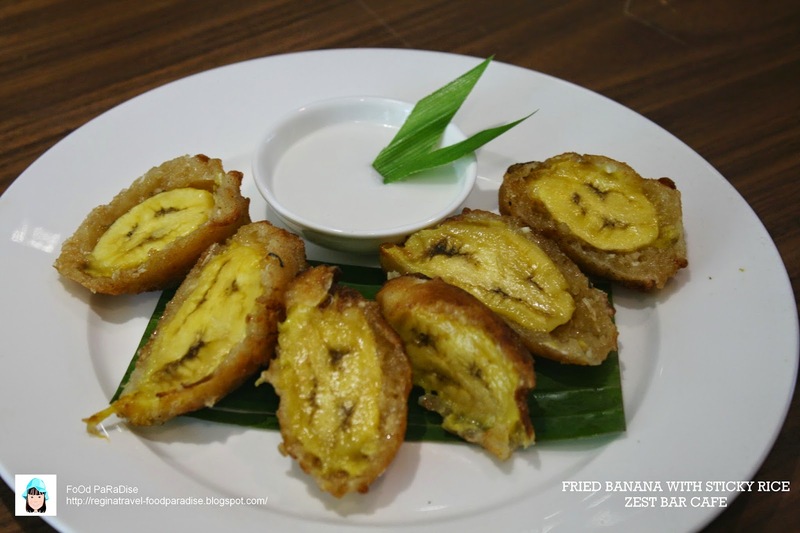 Fried bananas with grated coconut and sticy rice. 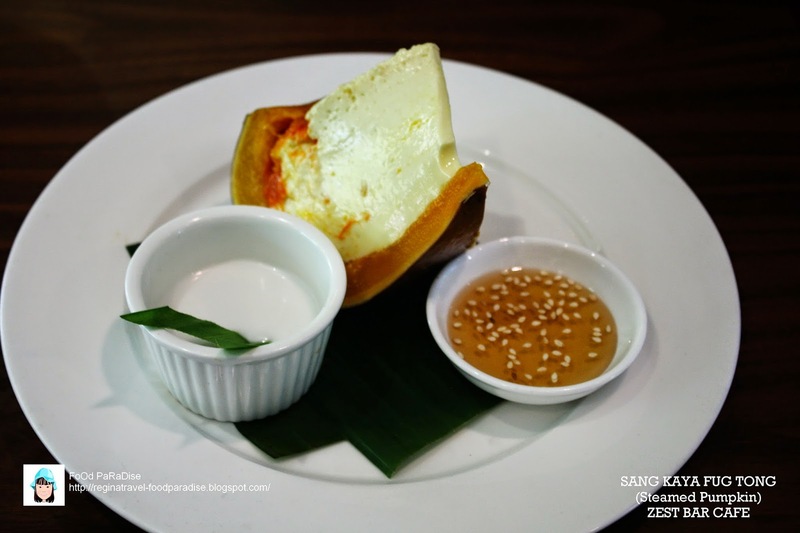 Steamed sweet pumpkin with custard and coconut milk. FoOd PaRaDiSe verdict: Overall their two desserts that I have tried are quite delicious. Especially the Sang Kaya Fug Tong. 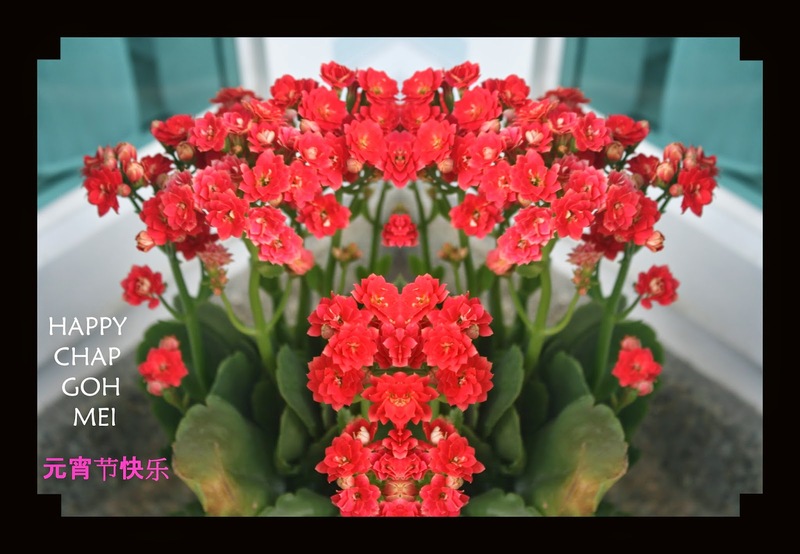 It is something special which I never tried before. It is actually steamed pumpkin dessert with egg custard. The last time I blog about this place was back in 2012. You can view my review here. After 3 years and here we are the same people and same place we had our gathering. We chose this place as our gathering as it is wheelchair friendly. As one of our guests is assessing with wheelchair. Furthermore they have wide parking spaces. Every guest was happy with this dish. The roll itself consisted of the scallop, banana and seaweed. Which was quiet a nice combination. 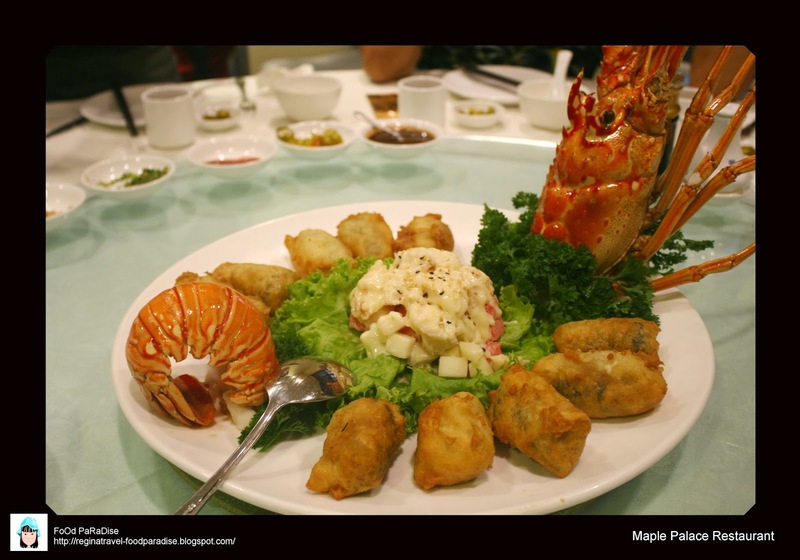 And the middle of the platter is served with the lobster salad - which consist of lobster meat and assorted fruits that cut into cube sizes. 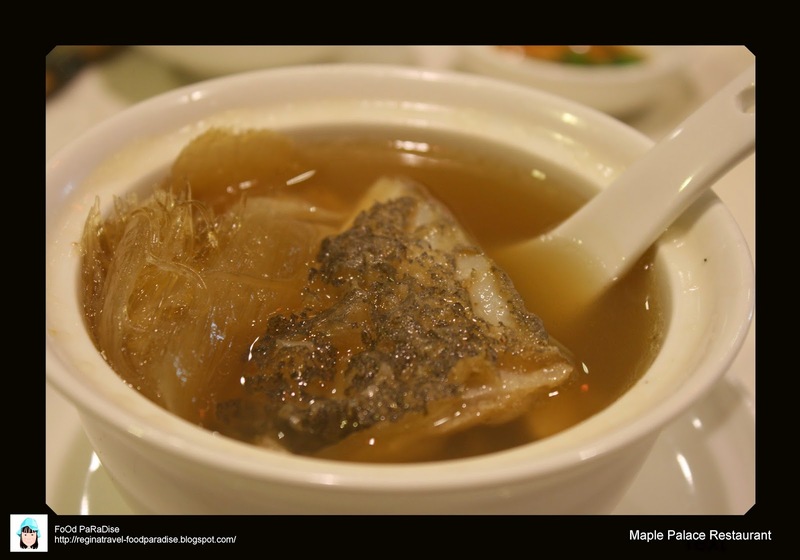 Our guests found it interesting that the shark's fin soup was served with the grouper. Guests love the sauces from this dish. 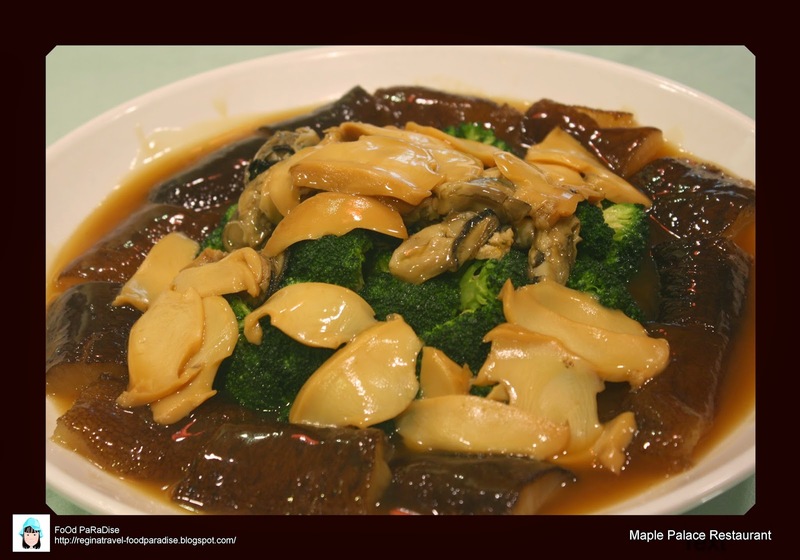 Sea cucumber and abalone slices were not too hard. It is just nice. 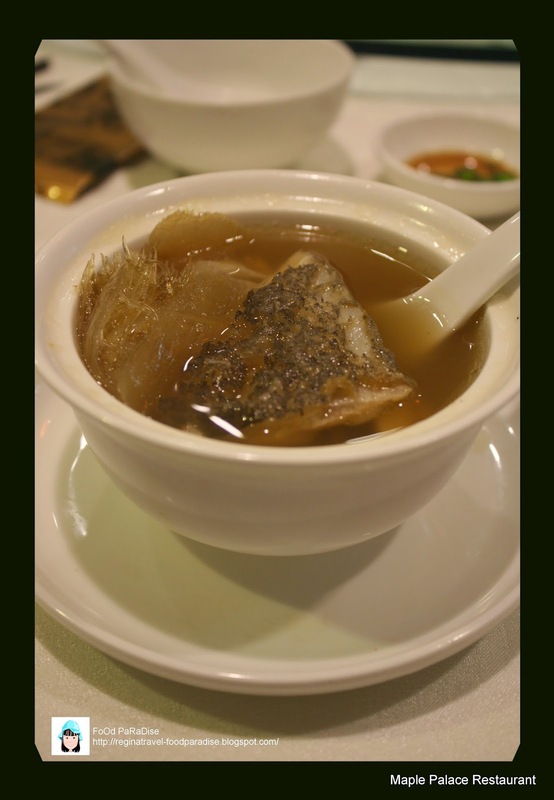 The fish was very fresh and nice. This dish is something special. The upper level is roasted sucking piglet and below level is the preserved waxed meat rice. The roasted suckling piglet is very crunchy and tender. 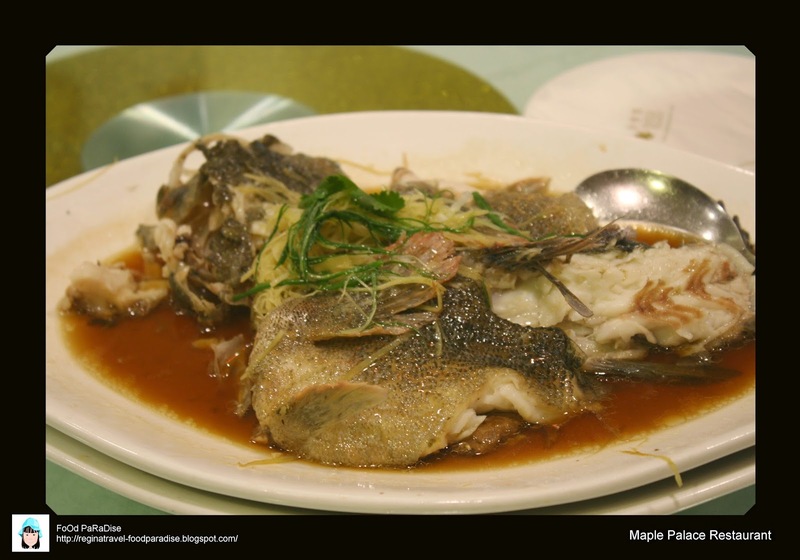 Whereas the preserved wax meat rice is also tastes very good. If you have not tried this before you can give it a try! This is indeed very nice. 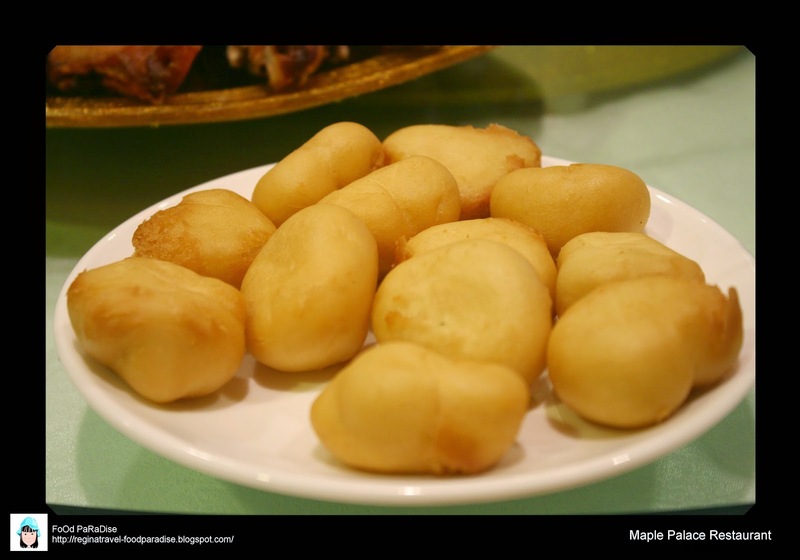 The outer layer of the mantou is very crunchy. 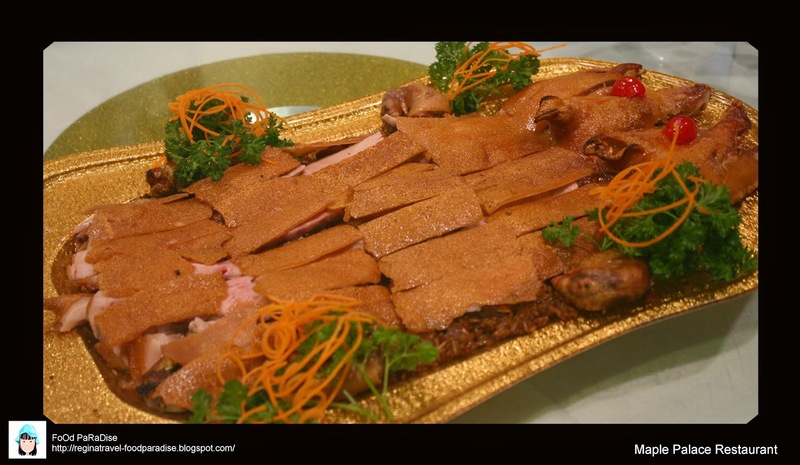 It was served together with the roasted suckling piglet with preserved waxed meat rice. 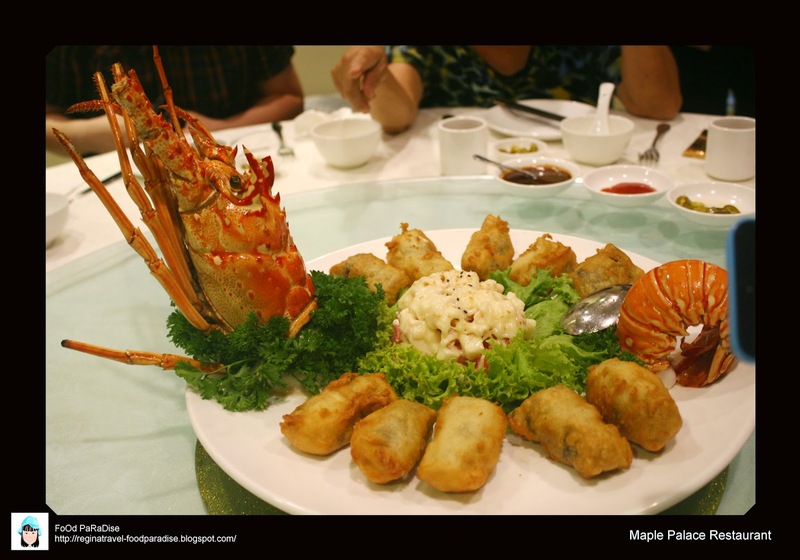 Last dishes for this meal is our dessert. 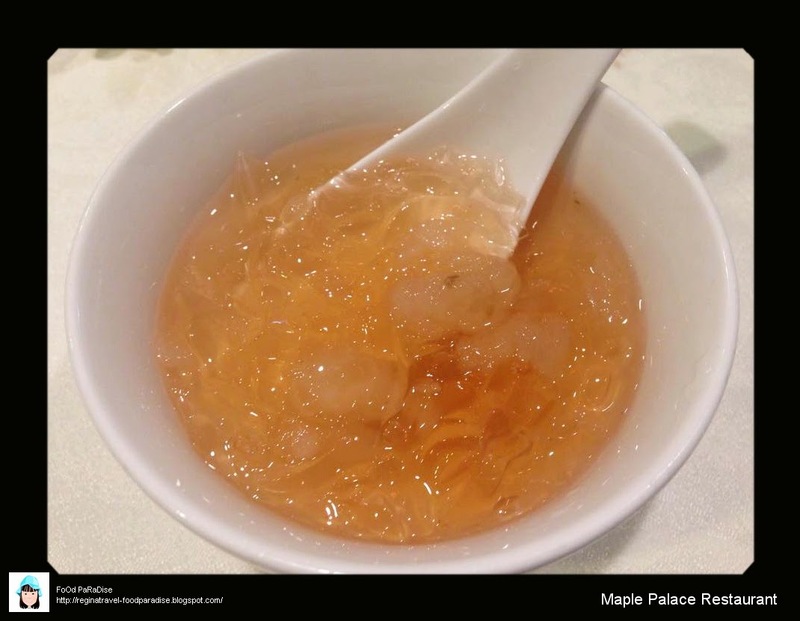 It is chilled lemon grass jelly with hashima jelly. Quiet a refreshing wrap up for the meal.